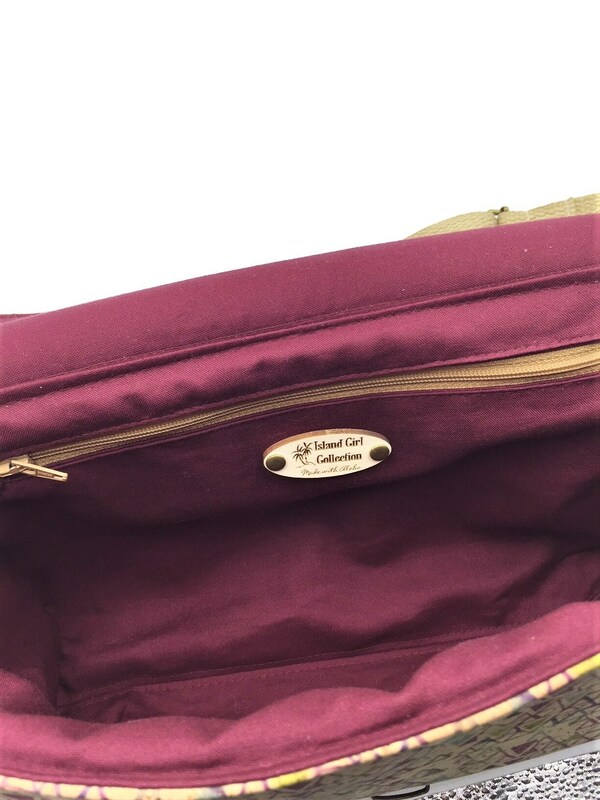 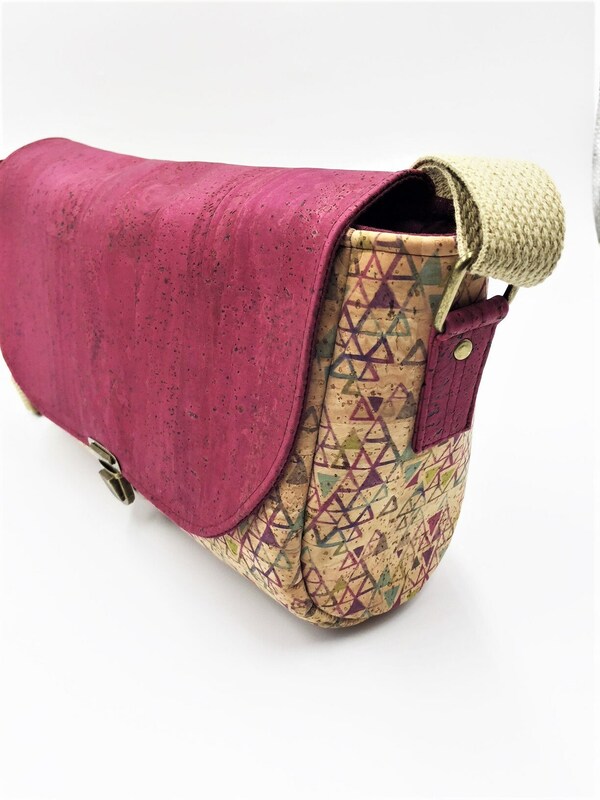 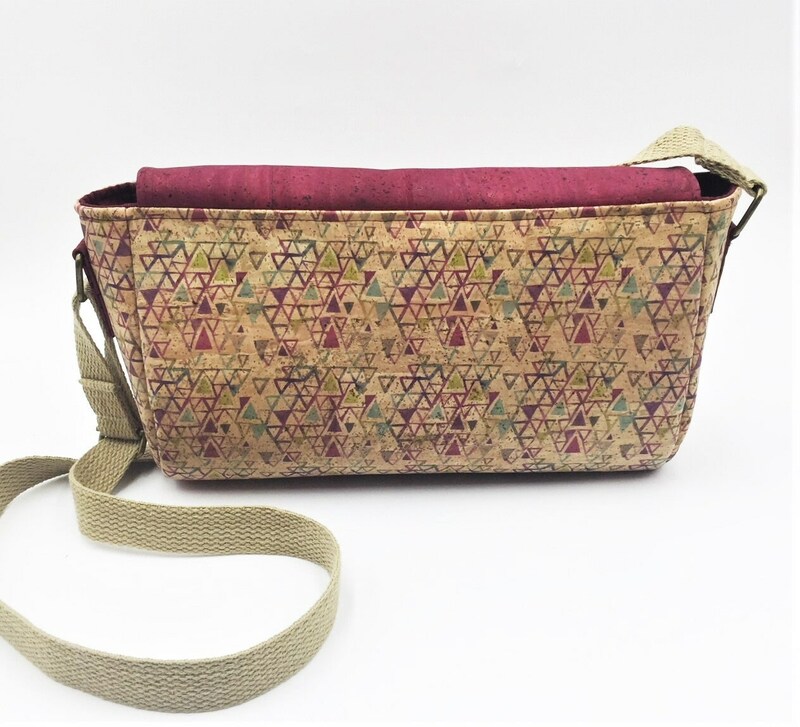 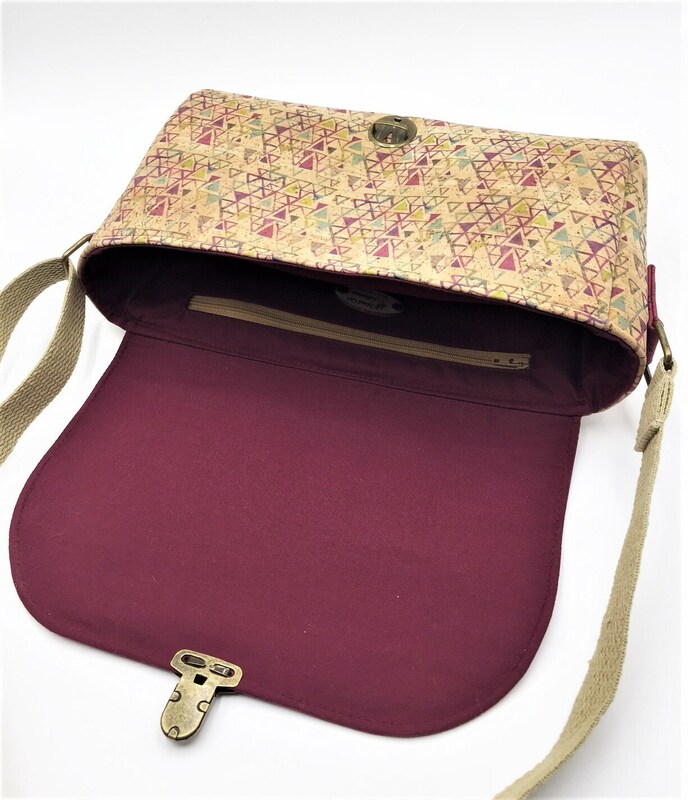 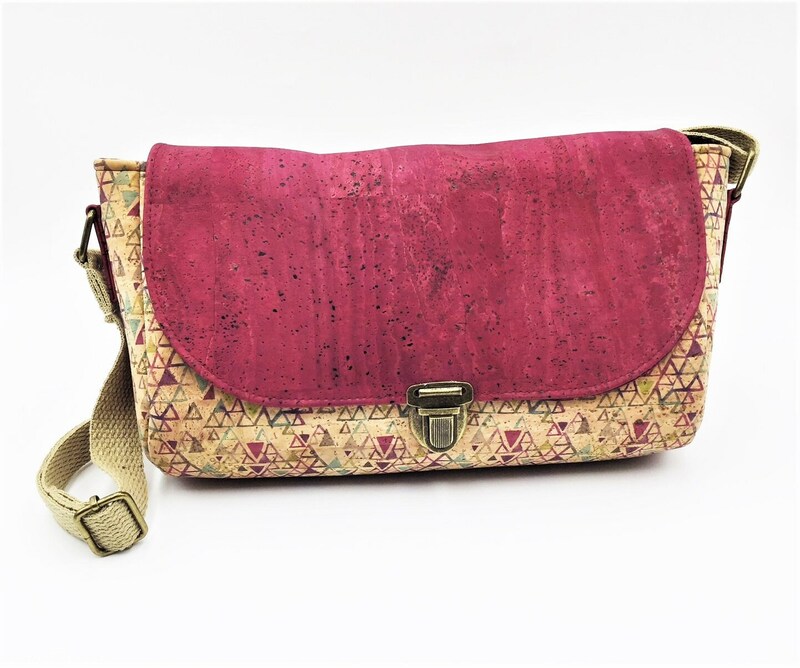 This gorgeous wine and triangles cork leather saddlebag cross body allows easy & quick access to all of your stuff! 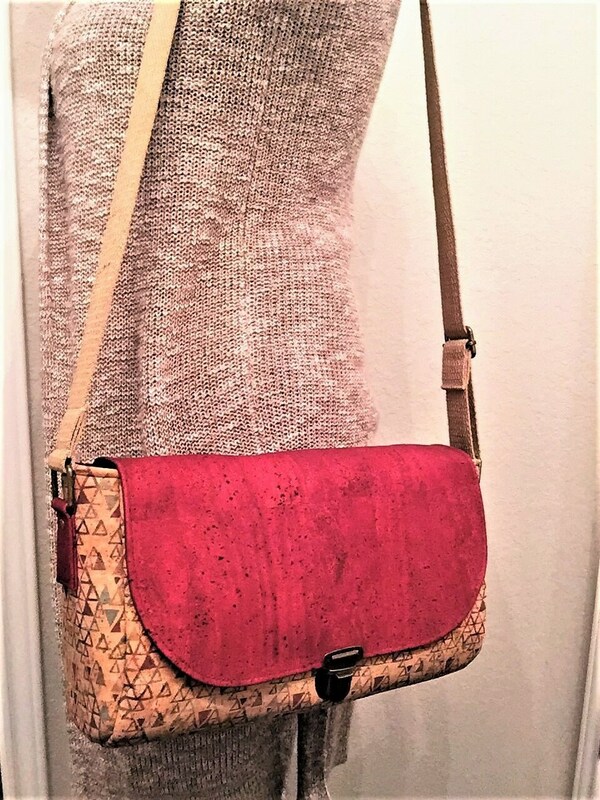 This generous size bag is larger than the smaller version in the shop. 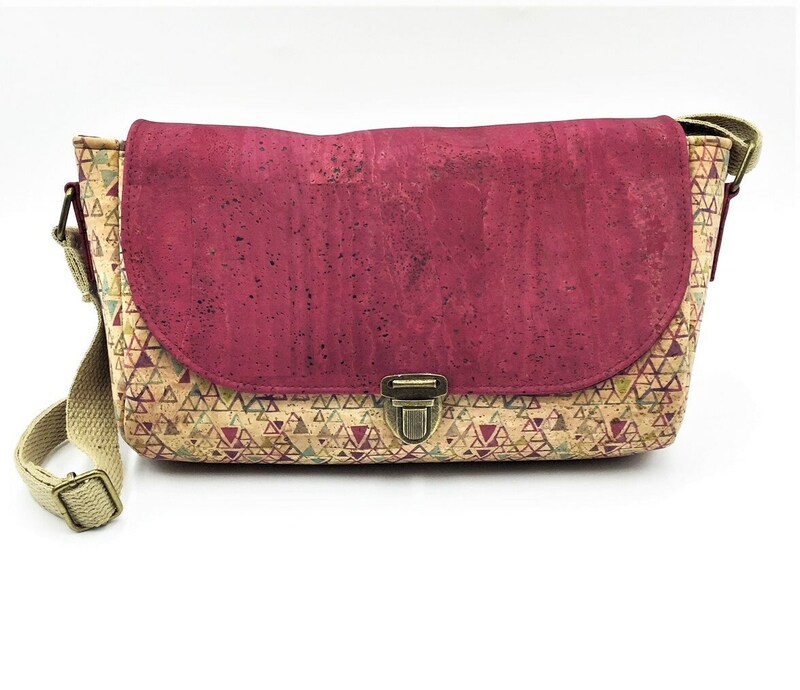 This stunning handbag is made from genuine Portuguese cork leather. 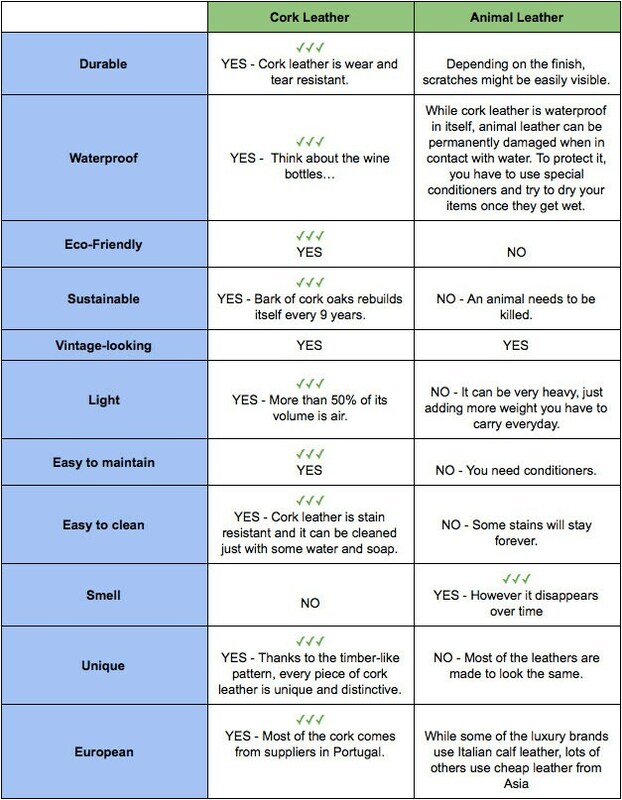 Cork is a natural product and is produced from peeling the bark of a cork oak tree without any harm to the tree. 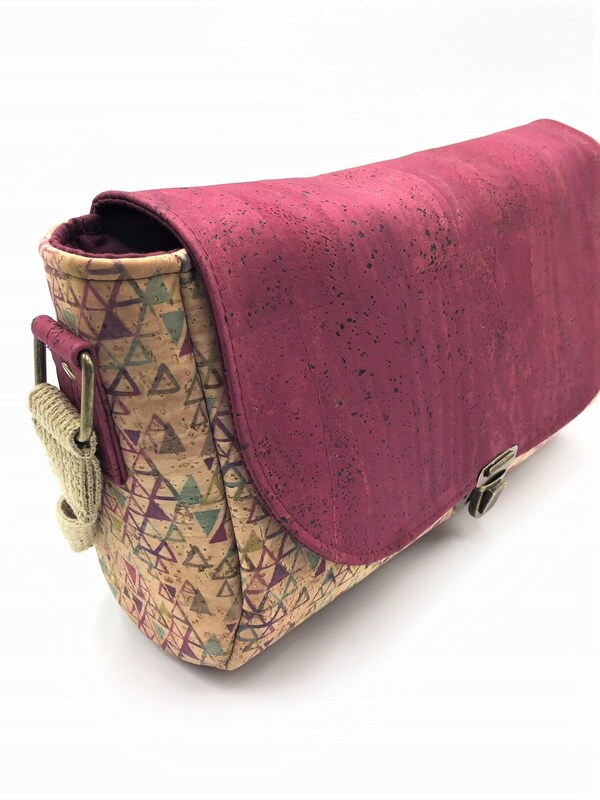 These thin cork sheets are laminated to a fabric support backing using a specialized proprietary technique.